Hillingdon Narrowboats Association is a place on the waterways minor waterways place place on the waterways major waterways place village town city on the Grand Union Canal (Grand Junction Canal - Main Line - Gayton to Brentford) between Batchworth Junction (Junction with Grand Union (Rickmansworth Branch). Rickmansworth Town Centre, half a mile north.) (2 miles and 4 furlongs and 2 locks to the northeast) and Troy Junction Towpath Bridge No 177A (Junction with the private Troy Branch) (3¼ furlongs and 1 lock to the south). The nearest place in the direction of Batchworth Junction is Springwell Farm Basin (Bridge No 176DD roves over the entrance. ); 4½ furlongs away. The nearest place in the direction of Troy Junction Towpath Bridge No 177A is Copper Mill Lock Weir Entrance (No access! ); ¼ furlongs away. The place is a Wharf and a Boatyard. This is www.hna.org.uk's home index page. Hillingdon Narrowboats Association. Jun 16, 2016 ... Hillingdon Narrowboats Association is a voluntary organisation supported by Youth and Community Service. Hillingdon Narrowboats Association is on NCBA. Join NCBA to view Hillingdon Narrowboats Association's profile. 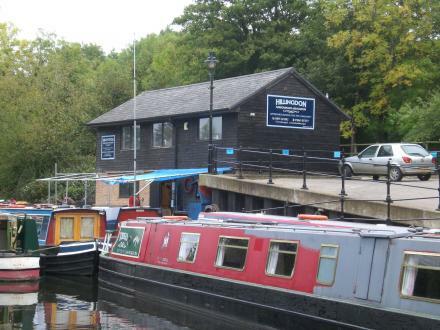 Hillingdon Narrowboats Association, Summerhouse Ln in Harefield, Phone 01895 823582 with Driving directions and Services. Young People: How to go #Canal Boating Even if You Have No Cash! # Volunteering on canal boats: Louise's story · Santa Claus is coming to town – by boat! London — 1492 yards to the east. 32 High Street, London, UB9 6BU — 1555 yards to the southeast. Clare House, Coppermill Lane, Harefield, UB96HZ — 206 yards to the west. 10 Canal Way, Uxbridge, UB9 6TG — 302 yards to the northeast. Hill End Rd, Harefield, London, UB9 6 — 946 yards to the east. Uxbridge — 270 yards to the south. London, UB9 6 — 1577 yards to the southeast. Maple Lodge Close, Rickmansworth, WD3 9SQ — 1438 yards to the north. 44 High St, Harefield, London, UB9 6BU — 1604 yards to the southeast. The Boathouse, Summerhouse Lane, Harefield, UB9 6HX — 26 yards to the southeast. Springwell Lane, Harefield, UB9 6PG — 1428 yards to the north. Park Lane, Harefield, UB9 6HJ — 1230 yards to the southeast. Chaplin House, Widewater Place, Moorhall Road, London, UB9 6NS — 153 yards to the south. 15-17 High Street, Harefield, Uxbridge, UB96BX — 1551 yards to the southeast. Clare House, Coppermill Lane, Harefield, UB9 6HZ — 531 yards to the south. Rickmansworth — 1379 yards to the southwest. Denham Way, Maple Cross, Rickmansworth, WD3 9 — 1406 yards to the northwest. Rickmansworth — 924 yards to the west. 89 Denham Way, Rickmansworth, WD3 9SL — 1596 yards to the northwest. Rickmansworth — 1539 yards to the northwest. Hill End Road, London, UB9 6LQ — 1045 yards to the east. 31A High Street, Harefield, UB9 6BX — 1552 yards to the southeast. 10 Linden Square, London, UB96 — 384 yards to the northeast. Harefield Middx, Uxbridge, UB9 6 — 1252 yards to the east. Uxbridge — 1524 yards to the southeast. Park Lane, London, UB9 6NZ — 300 yards to the south. Hill End Rd, London, UB9 6 — 1305 yards to the southeast. Hill End Rd, London, UB9 6JH — 1302 yards to the southeast. 16 High Street, Harefield, UB9 6BU — 1542 yards to the southeast. Hill End Road, Harefield, UB96LD — 1277 yards to the east. London — 339 yards to the south. Rickmansworth, CF14 5JU — 857 yards to the north. Park Lane, Harefield, UB9 6BJ — 1446 yards to the southeast. Summerhouse Lane, London, UB96HX — 44 yards to the northeast. Grand Union Canal, London — 87 yards to the south. 76 Denham way, Rickmansworth, WD3 3HE — 1551 yards to the northwest. Old Uxbridge Road, West Hyde,, Rickmansworth, WD3 9XP — 920 yards to the northwest.